LEARN TO SAIL – Life is too short not to experience this great sport and lifetime activity. For information on Adult Sailing Lessons, check out our ADULT LEARN TO SAIL PROGRAM. For information on Youth Sailing Lessons, check out our YOUTH SAILING PROGRAM. Welcome To Lake Eustis Sailing Club! 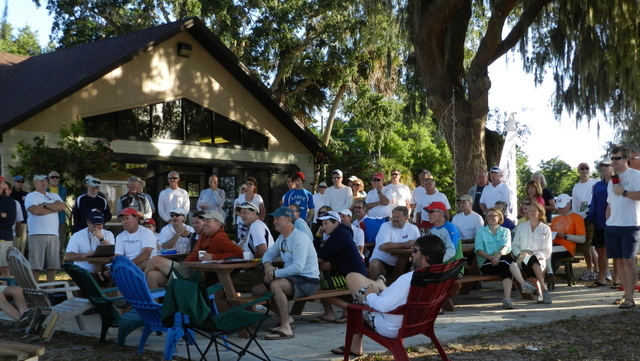 Located in beautiful Eustis, Florida, Lake Eustis Sailing club is the home to four one-design racing fleets and is the most active racing and sailing club in Central Florida! The large boat storage area and dual launching ramps on our lakeside, ten acre property allow all to dry sail their boats, for convenience and safety. We have a large clubhouse, perfect for pre- and post sailing get-togethers and activities. 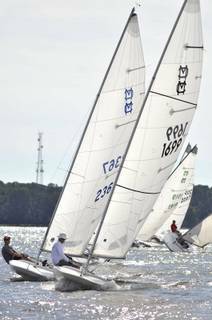 With such a perfect setup, it's no wonder we're home to five regional sailing events, and to club racing two weekends per month, each year from Labor Day to Memorial Day. Come on out and get involved with the most active racing club in Central Florida! Additional details, address and phone etc. Getting ready to go racing from our large tee dock. Beach boat launching for our youth group.